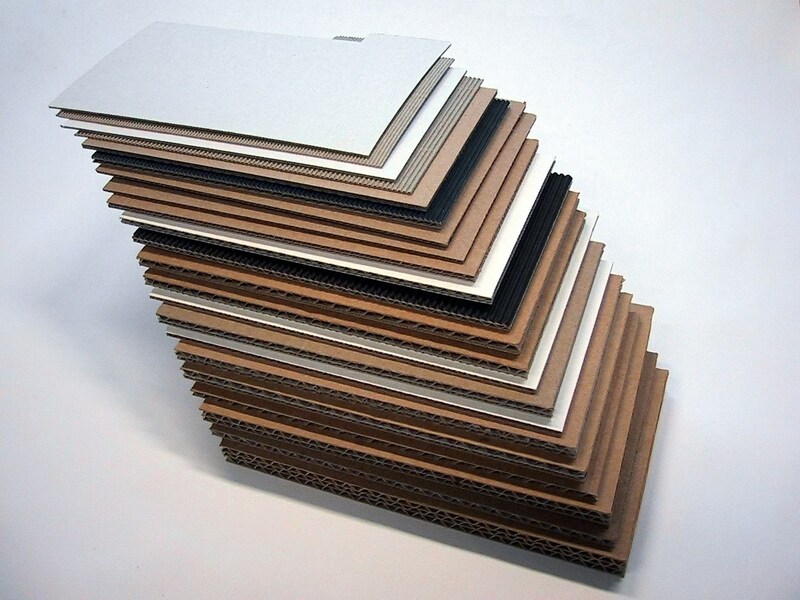 A selection of corrugated fibreboard made from paperboard. Sheeted board is an inexpensive and biodegradable form of packaging material. It is lightweight, easy to recycle, and has a wealth of uses. Among its uses include slip sheets and layer pads. As slip sheets, they can be made of heavy laminated kraft paperboard and corrugated fibreboard. Increasingly, sheeted board is used in layer pad form. Instead of pallets or corrugated board, they offer a lighter and flexible alternative. You also see layer pads in your local supermarket. In the warehouse, or on the shelves to separate items (usually with bagged products). In larger forms, they are 1/30th of the weight of pallets. Pallet exchange ceases to be an issue for obvious reasons. Items are stretch-wrapped and shrink-wrapped for extra stability. In smaller forms, they are seen as sleeves for ready meals. Such as their versatility. We at Romiley Board Mill are able to make sheeted board from scratch. Our 23-acre site enables us to manufacture sheeted boards from wood pulp to the finished product. We can cut sheeted board from 500mm to 2,000mm in length, on sheets measuring 350mm to 2,080mm in width. Die-cutting facilities are also available with radial cuts typically being 50mm and 65mm. 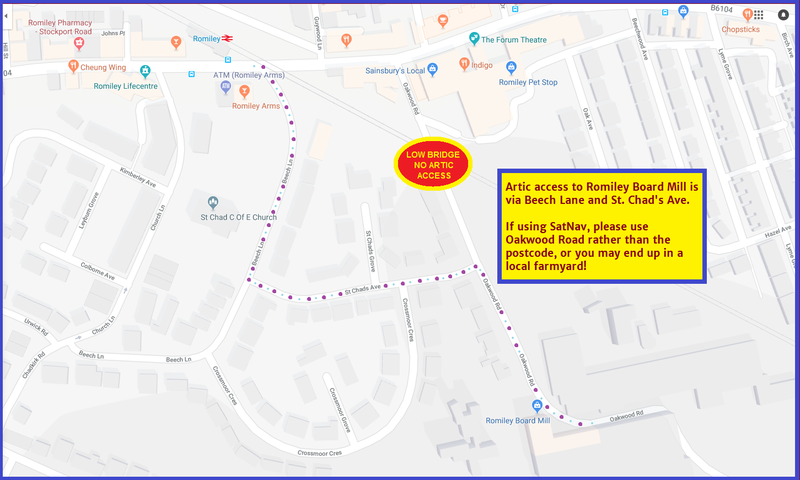 If you have any further queries, why not talk to us on 0161 430 6061, or email us on info@romileyboard.co.uk. We shall get back to you as soon as possible. Our company is a short walk away from the main shopping centre. Our mill backs onto the Peak Forest Canal, close to Hydebank Tunnel. Regular buses to Stockport, Marple, and Bredbury stop nearby. Rail services to Stockport, Marple stations, Sheffield, and Manchester Piccadilly call at Romiley station, close to the bus stops. Oakwood Road is near both bus and rail stations and is just off Compstall Road. Romiley Board Mill, 09 June 2016.